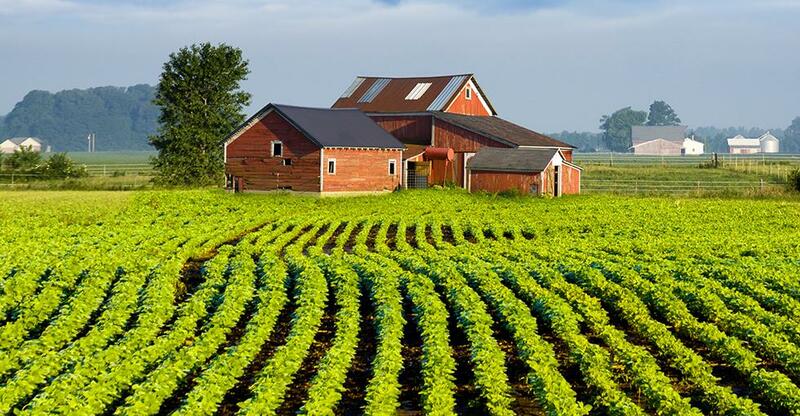 BusinessesForSale.com take a look at the US agricultural sector. Making a living from the soil is a notoriously fickle proposition. But a significant proportion of farmers have made their fortune since men and women began farming and our ancestors progressed from hunting and gathering around 11,000 years ago. As agriculture became increasingly industrialized in the 20th century the total number of farms operating in the United States plummeted, especially after the end of World War II. But in recent years a slight rebound suggests the growth in demand is finally outstripping higher yields achieved by evolving technology. More farmers are needed. Results from the 2012 Census of Agriculture are as yet unpublished, but the last census, in 2007, showed that more than 2.2 million farms were operating in the United States. The majority of farms are small, family-owned operations where owners rely on alternative income streams to supplement agricultural earnings. Still, across the country in 2007 the nation's farms sold more than $297bn worth of produce - a stunning 48% increase on five years previously. With overheads rising at a much slower rate, farmers saw an 84% increase in net profit during that same period. "Farm values have risen every year for 20 years save for the period between 2007 and 2009"
A federal crop insurance program compensating for a smaller harvest resulting from drought, 2012 was a record year for US agriculture. However, the high grain prices that also benefited arable farmers meant higher feed costs for livestock farmers. The US Department of Agriculture has provided a resource hub providing carefully curated information on every aspect of setting up a farm. So before you quit your jobs and buy a farm, there are a few things you should consider. One of the key takeaways from these resources is to view farms as businesses, not just as hobbies or homes. Careful, strategic planning should precede a purchase. Ongoing management of cash flow, expenses, labor and marketing is necessary to maintain a profitable venture. Without these factors in play, the chances of earning a living from your farm are slim to none. If you are seduced principally by the bucolic lifestyle farming affords, you must be hard-headed in managing your farm and be prepared for early mornings and hard, physical labor. From an investment standpoint, you'd be hard-pressed to find a safer vehicle for appreciation than farmland. Farm values have risen every year for 20 years save for the period between 2007 and 2009 (when the residential real-estate market was so badly hit) - and even then they fell moderately compared to residential property values. Farmland has recovered more rapidly too, posting a rate of appreciation higher than residential land in nearly every state. As a result many investors from outside the industry have bought land to rent or lease out to farmers. As of 2007, 29% of all farmland was owned by non-operators, so there's plenty of scope for leasing or renting should buying land outright prove unaffordable or unsuitable for your circumstances. Location-specific research is vital. The quality of soil and the crops it can sustain varies wildy - as does the price of farmland, from as low as $4,000 per acre in California to as high as $100,000 per acre in some areas. A locally knowledgeable agricultural attorney can help investors choose the right land at the right price. Should you intend to farm the land yourself but have limited agricultural expertise and/or limited local knowledge - though you might have marketing expertise or contacts in the wholesale or food-service industries - then hiring staff with the right expertise and understanding of the local land is vital.